Jess Beck is from the area south-west of Alice Springs. She was a 2010 Deadly Award nominee for Most Promising New Talent in Music. Beck’s heritage is irrevocably intertwined with the history of black and white relations over the last century. The great-granddaughter of an Irish station owner, Beck's grandmother was stolen from her family in Central Australia aged four and transported to Croker Island, north of Darwin. Beck's mother was then forcibly adopted out at birth. Beck discovered her family heritage at an early age when her mother and grandmother were reunited in the late 1980s. Jess Beck continues to make music as the lead singer of Sydney indie/pop band Pirra. 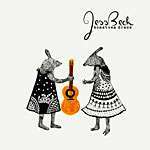 This is Jess Beck's EP album.